adidas Soccer today launched a new footwear collection designed with one of its most iconic partners, David Beckham. The collection celebrates the over two-decades of partnership between Beckham and adidas, including a remastered version of the Predator Accelerator, the ‘cleat of a generation’. What is even more unique about this capsule is the fact Beckham played a central role in the creation process. During the concept phase, Beckham identified the Accelerator as his favorite cleat and the iconic red, white and black colors as the most important to his career. 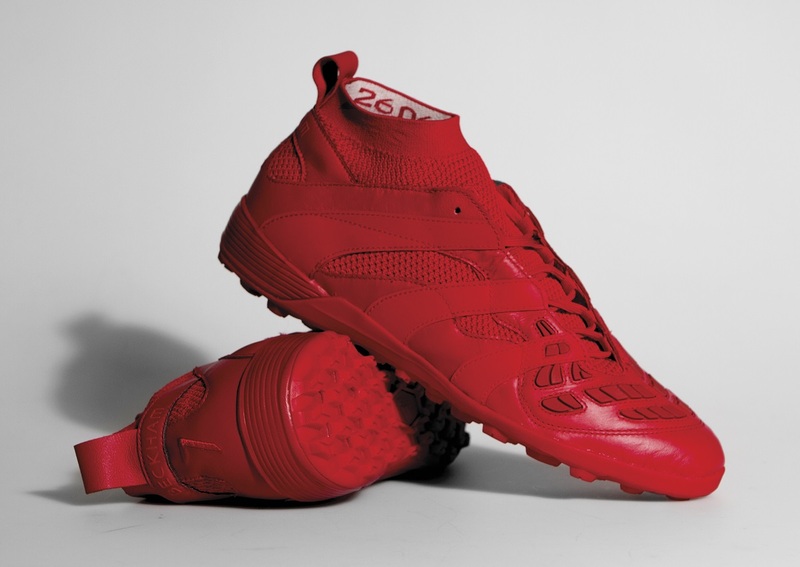 The result was a collection that celebrated these colors – a triple-white ‘Stadium’ cleat, triple-red ‘Cage’ shoe and triple-black ‘Street’ shoe. **UPDATE: Limited pairs available right now at soccer.com. 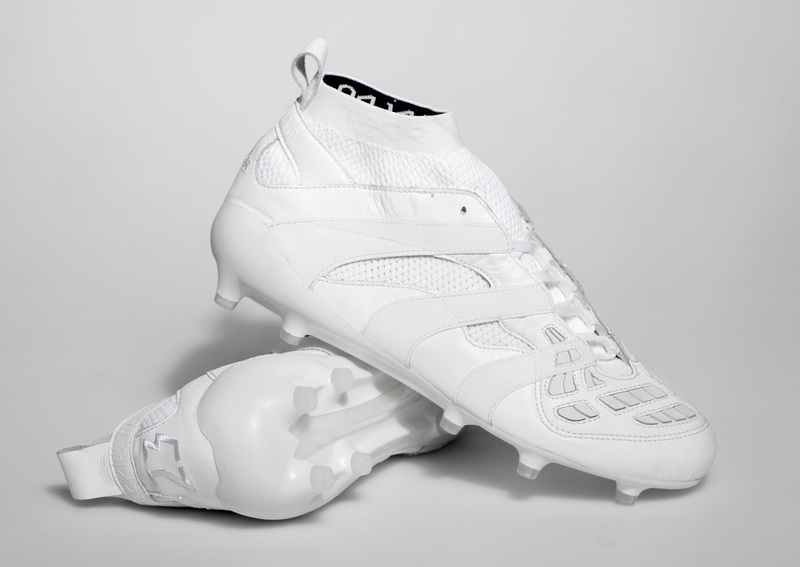 Performance wise, this is a completely new type of performance boot. 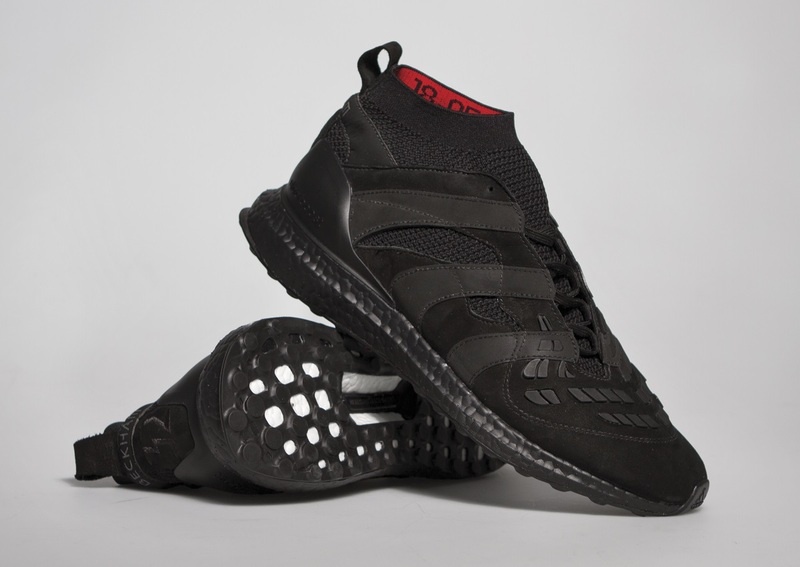 adidas has perfectly blended the classic past of the adidas Predator silo with updated modern innovation. A knitted collar and sock runs through the midfoot, adding compression and keeping you comfortable and locked in the boot. 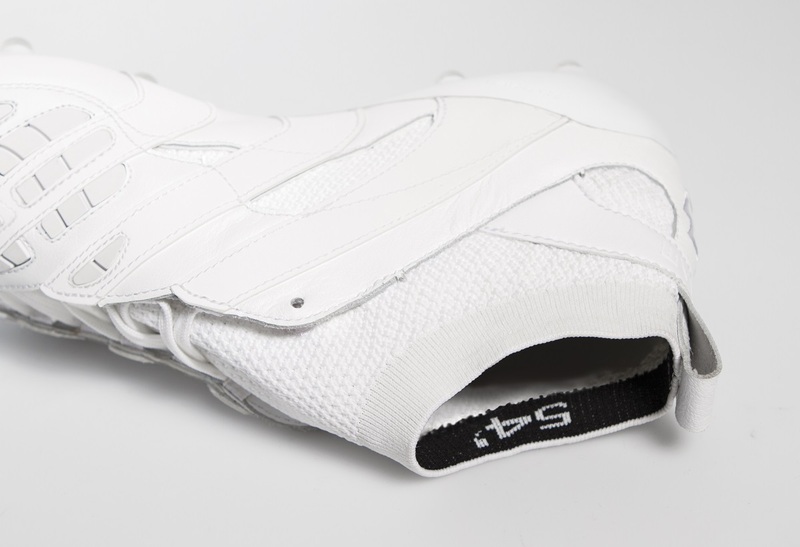 Through the upper, a kangaroo leather layer offers a soft touch and a comfortable fit. And then the all important piece, the Predator elements across the strike zone. They offer additional control and added swerve elements when striking the ball. Finally, adidas has added Sprintframe outsole to keeps things lightweight while still providing solid traction on FG and modern AG surfaces. When I look back on the best moments of my career, the one defining theme of them all is the adidas Predator. It has always been there, helping me play my best when it mattered most. That’s why when adidas offered me the chance to design an updated version of the boot for on-pitch, in the cage and on the street, I absolutely jumped at the chance. 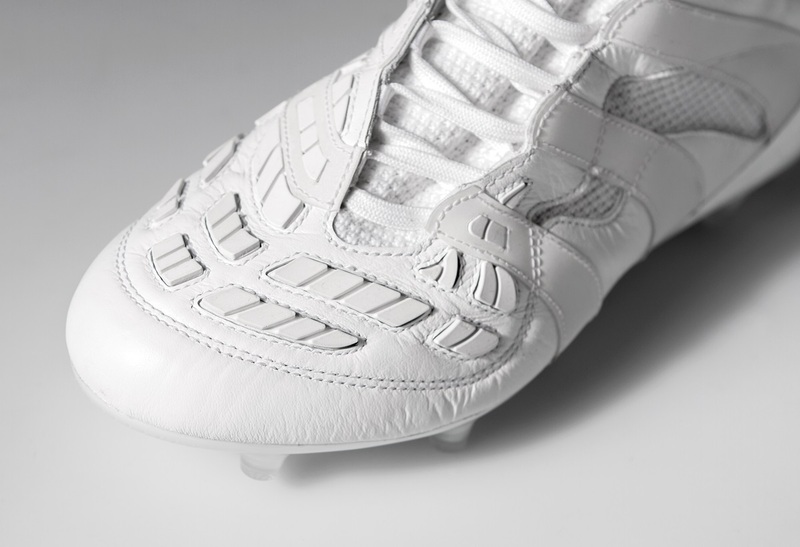 The decorated midfielder wore the Predator Accelerator for the majority of his career, creating history for club and country in the process. Some of these moments were chosen by the player and stitched into the collar of each item of the collection. 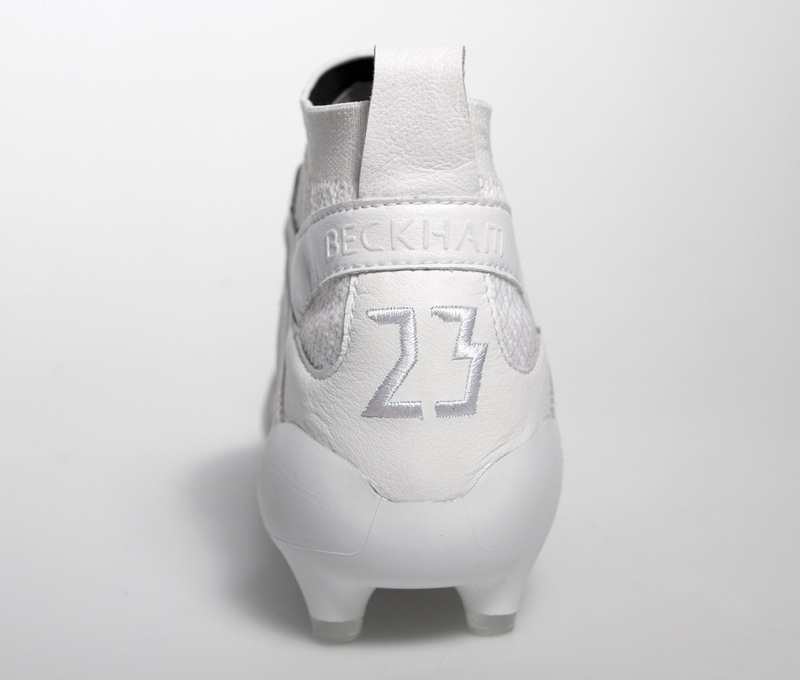 The three shirt numbers synonymous with Beckham’s career are marked on the heel of each shoe – 23 on the triple-white ‘Stadium’ boot, 32 on the triple-black ‘Street’ shoe and the famous number 7 on the triple-red ‘Cage’ shoe. Even the lettering blends the original Predator typeface with Beckham’s name and number to produce a modern twist on a classic. Our limited-edition capsule collection releases are designed to pay homage to the rich history of adidas while introducing modern technology that keeps pace with the requirements of peak performance. 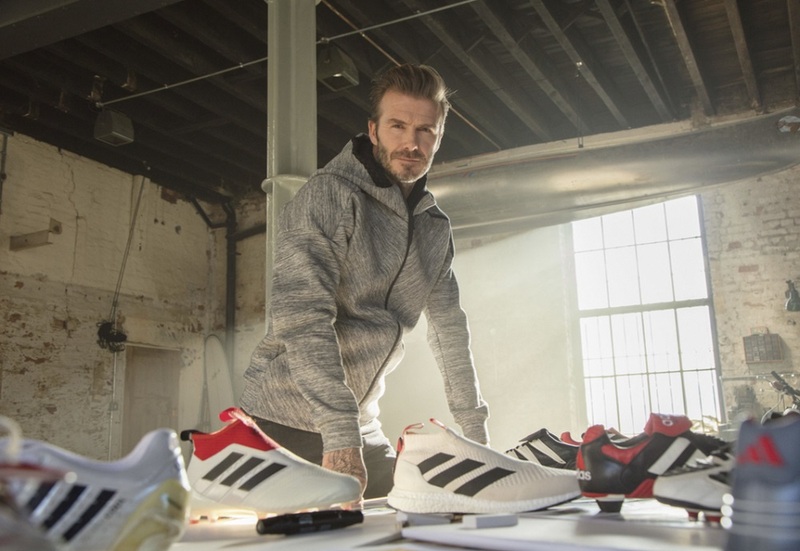 There are few more longer-standing partnerships in sport than David Beckham’s with adidas and so working with David on his own footwear collection was something we were all extremely excited about. We know that these will be iconic products for so many fans and collectors. Currently available as a “Limited Collection” release at soccer.com.